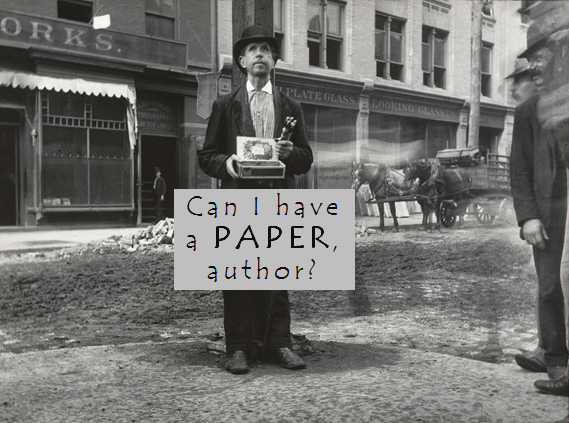 What are scholarly journals doing to attract authors and papers? Basically what scholarly journals do to maximize exposure and find content (authors and papers) is indexing them in data bases and directories, whether they are recognized journals, or new and open access. The difference will be on the relevance of the database, because if they are indexed in Journal Citation Reports (Thomson Reuters) they have already virtually assured a minimum content, but they should continue fighting for the journal quality and improvement in the medium term. For maximizing exposure of your open access journals I’ve found the following less common abstracting and indexing services that they may be of interest: Google Scholar, Ulrich’s Web, JURN, CrossRef, Open J-gate, or ticTocs Journal Table of Contents, among many hundreds others. As I look for the best journal for my manuscript, I seek first those who publish articles similar to mine, and I get them mainly from the literature review. I usually also save the e-mails from the editors that have directly approached me to publish in their journals, so I have a look at them. After that I review the ones within the first quartile at Journal Citation Reports impact factor ranking. And finally, I try to find a common ground with their editors or someone who knows their editorial policy and can give me feedback about them, what articles are looking for or even if my paper could fit there. At a second level, although it’s also important, is to create a database of authors, scientists and professors of the journal specialty field, either searching directly for them when they publish in other journals, or using their database of subscribers/readers. Finally there is the Internet and social networks, creating their own pages for being followed by scientists, but I think it is still to be developed. Some journals make their call for papers in their own portals and even in specialized websites; undoubtedly it’ll be part of the future. And how about the idea of ​​an academic network for publishing in journals? Where authors and editors could interact and publish their articles, such as Gaudeamus? So, in short, to find authors and content journals should be well indexed in quality directories and work the social networks for potential new authors. After that it would only remain selecting the right papers among dozens, making use of the more or less automatized internal processes, particularly peer-review. Almost nothing!